Spiroflow Systems today announced that Don Mackrill has been named Chief Operating Officer effective immediately. 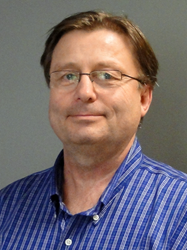 In his new role Don will have complete operational control for all powder handling projects from engineering through production, customer delivery, and customer service. We are fortunate to have such a talented and committed leader in Don who brings such a wealth of industry knowledge. In his new role as COO Don expects to further streamline production processes and maximize on time deliveries in the Americas. Spiroflow is a global leader in powder handling for process industries and an emerging leader in control systems integration. Throughout the company's 45-year history, their design engineers and process automation team have provided customers with the safest, most efficient, innovative and most reliable process solutions available. Spiroflow was an early inventor of the flexible screw conveyor, but the company has grown significantly since those early days as have their products and service offerings. Spiroflow delivers engineered solutions designed to solve their customers' greatest powder handling and processing challenges, whether it is a single conveyor or a complete powder handling system with integrated controls. With their flexible screw, Aeroflow® aero mechanical, Cableflow® cable drag, Chainflow™ and Dynaflow® chain drag conveyors, hands down, they offer the widest range of mechanical conveyors for dry bulk solids and ingredients. Spiroflow is also known for its expansive line of Spirofil® bulk bag fillers, bulk bag dischargers, control systems, bulk bag conditioners, customized hoppers, bin activators, and bin, bag, box and drum emptiers, as well as end-of-line robotic palletizing solutions. Primary markets include the food, dairy, snack food, confectionery, beverage, pet food, pharmaceutical, packaging, industrial, chemical, plastics, minerals, cement, environmental, waste, and recycling. To learn more visit Spiroflow’s website, email info(at)spiroflow(dot)com or call (1)704-246-0900.